“The Lost Valentine,” an award-winning, critically acclaimed movie, co-written/produced by Maryann Ridini Spencer, was based on the best-selling novel, “The Last Valentine,” by James Michael Pratt. Most recently, the novel has been published as “The Lost Valentine” (St. Martin’s Press). 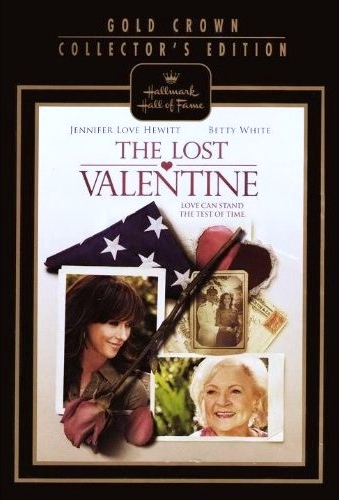 "The Lost Valentine,” became Hallmark Hall of Fame’s most highly rated movie in four years when it premiered in 2011. It won CBS-TV the night with over 15 million viewers tuning in. Receiving critical acclaim, and nominated for several awards, in 2012, the film won a “Faith and Freedom” award for inspiring American values and ideals at the nationally televised, star-studded, 20th Annual Movieguide Awards (February 2012). The film has since gone on to become a Hallmark Classic, airing each year on the Hallmark Channel in February, and is now part of Hallmark’s Gold Crown DVD Collector’s Edition. Additionally, since the 2011 premiere, it has taken almost five years for a TV movie to rival the ratings for “The Lost Valentine.” READ the article in VARIETY. WATCH “The Lost Valentine” on the Hallmark Channel every January/February (and other times throughout the year). The film can also be seen online at Hallmark’s “Feelin” Channel and purchased on Amazon & in the Hallmark Store, CLICK HERE! In 2001, after reading and falling in love with the book, Maryann Ridini Spencer optioned the novel in 2001 to write the screenplay and to produce the project. Later, REC joined forces with AEI and Paulist Productions. The team approached Hallmark to work together to produce the project. 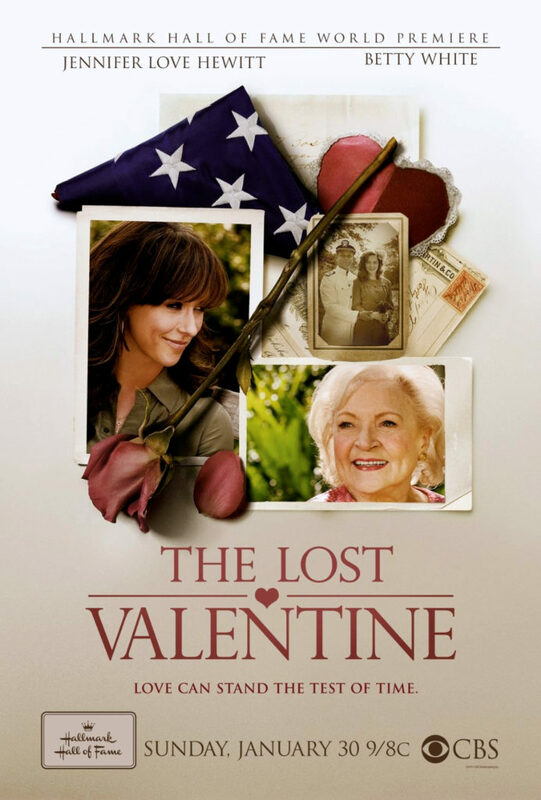 “The Lost Valentine” DVD can be purchased at Hallmark Gold Crown Stores and online at Amazon.com and Hallmark.com. USA TODAY: “The Lost Valentine” seduced 14.5 million viewers Sunday…READ MORE! VARIETY (“The Lost Valentine” holds top-rated position for just shy of 5 years!) CLICK HERE. Teleplay by Maryann Ridini Spencer and Barton Taney. Jennifer Love Hewitt and Brent Shields serve as Executive Producers. Barbara Gangi is producer. It is produced by Andrew Gottlieb and co-produced by Ken Atchity, Chi-Li Wong and Maryann Ridini Spencer. Darnell Martin directs. The project is a Hallmark Hall of Fame Productions, Inc. in Association with Paulist Productions, Atchity Entertainment International and Ridini Entertainment Corporation.